Three sizes: Quilt, Lap, Table Runner. "Broken Wheels" is a fast and fun design, using 1 package of stacks, convenient, pre-cut 10" squares (40 squares). Use stacks, or 2½" strips, plus a contrasting background, or cut pieces from various medium fabrics plus one accent fabric, using scraps or yardage. This quilt is a terrific stash-buster and works with 10" stacks and 2½" pre-cut strips. 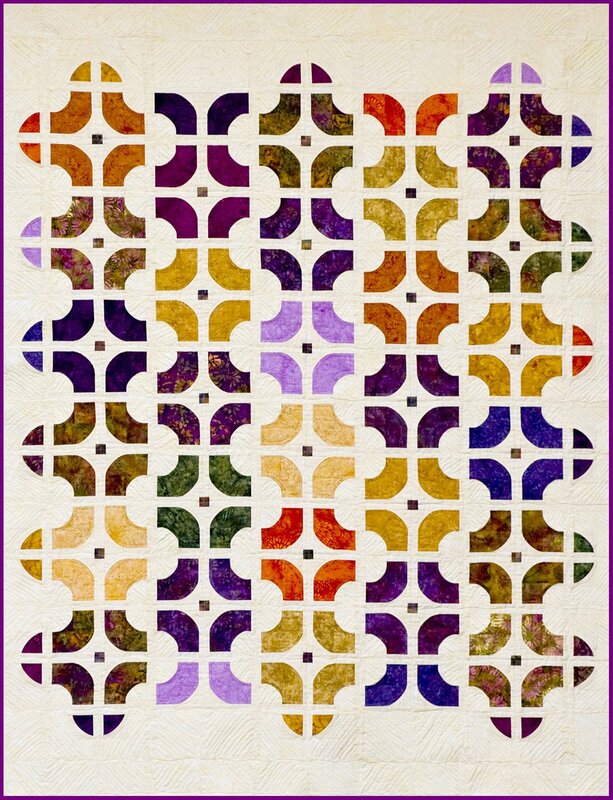 Section I: Large Quilt: 59½" x 77½". Section II: Throw/Lap: 39½" x 49½", Section III: Table Runner: 19½" x 59½".